Linda Jo King's physical life ended on the afternoon of Tuesday, Jan. 19, 2016, at a Lawton hospital. Her cousin, friend and lifelong road trip partner, Saundra Lucas, was by her side when she breathed her last breath. Funeral will be at noon Monday, Jan. 25, 2016, at Grant Chapel Methodist Church, Lawton, under direction of Whinery-Huddleston Funeral Service. Linda passed away quietly and unassuming. However, that was far from the way she lived her life. For almost 72 years she strived to serve God, her family and her community. No one who knew Linda would be able to say she wasn't a true child of God or wanted anything but the best for others. Linda was born in Sulphur in 1944. As the eldest of four children to John and Helen Green, she was a shining example for her younger brothers and sister. She attended Douglass High in Duncan before completing her education at Lane College in Jackson, Tenn., and East Central University in Ada. She received her post-graduate work at Our Lady of the Lake University in San Antonio. By this time, Linda had already had two of her three children, yet she still found a way to earn her degree. Linda went on to become a social worker with the Department of Human Services in Lawton, where she became the first black supervisor in the Division of Child Abuse and Neglect. She saw first hand the needs of hurting people and integrated her work at DHS into her service to the church. As a young woman she had watched her mother, Mrs. Helen Green, do "real" missionary work as a member of Stone Chapel in Duncan by feeding and providing clothing to the drifters who passed through their hometown. Throughout her life, Linda often used her mother as the barometer for if she was doing enough for others. Her example was the foundation that Linda's career of service was built upon. Linda joined Davis Chapel African Methodist Episcopal Church in 1972 under the leadership of the Rev. J.E. Hughes. One of the ways Linda was able to blend her social work with her church service was in helping found Lawton's "One Church-One Child" program, which increased the likelihood that black children would get adopted. It is still going strong today. Linda's work with the underprivileged, young, homeless and hungry didn't end inside her church. She could often be found going shopping and taking food and clothing to needy families. She also took foster children toys on Christmas Eve, to make sure they had something to wake up to and unwrap on Christmas. She often did these tasks with her own young boys in tow, which taught them to think of others while serving God and their community. After retiring from DHS after more than 30 years on the job, Linda found other ways to make herself of service to those around her, including organizing the Women's Empowerment Group and working with the youth at Davis Chapel. She continued to help newly released female prisoners get reintegrated back into society and young teenage girls who got pregnant. Linda and her husband, Walter King, also hosted foster children at their house for a period of time. One of those was Keisha Morgan, who has blossomed into a mother, wife and pharmacist. Linda often spoke of how proud she was of her "daughter." The other foster child didn't have the same outcome and found himself in and out of prison for most of his brief life. But even then, she refused to give up on him as others had. She didn't believe in lost causes. Linda was a member of the Delta Sigma Theta Inc. She was loved dearly by her three sons. Together with her husband, they taught them how to work hard, know right from wrong and to care about their fellow man. While she could be tough and demanding when it came to school and church, she was also loving, caring and would do anything for them. She wanted the best for Phillip, Michael and Joel, and they are still striving to live up to her high expectations even today. There are those in life who will garner more headlines and will be remembered by more people after their death. But no one cared for their community, their church and family more than Linda Jo King. But she didn't just talk about it, she put those words and feelings into action. That is why she is an unsung hero who can never be replaced. 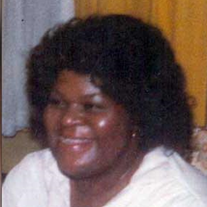 Linda Jo King, born Feb. 20, 1944, is survived by her husband, Walter King; three sons: Phillip and Michael Kinney and Joel King; her precious granddaughter, Allysa; her younger brother, James Green; sister-in-law, Veronica Green; niece, Janelle Williams; and nephew, Clayton Green. She was preceded in death by her parents: John and Helen Green; sister, Rosemary Green-Harp; and brother, John Green. The poet Maya Angelou once said "Let nothing hide the light that shines within you." Linda's light will continue to shine brightly long after she is gone.